On November 2, 2018, the China (Nanjing) Cultural & Technological Integration Achievement Fair unveiled in Nanjing International Expo Center. The first and second batches of national demonstration bases and demonstration units for culture-technology integration were put on display at the Achievements Exhibition of the National Demonstration Bases for Culture-technology Integration. 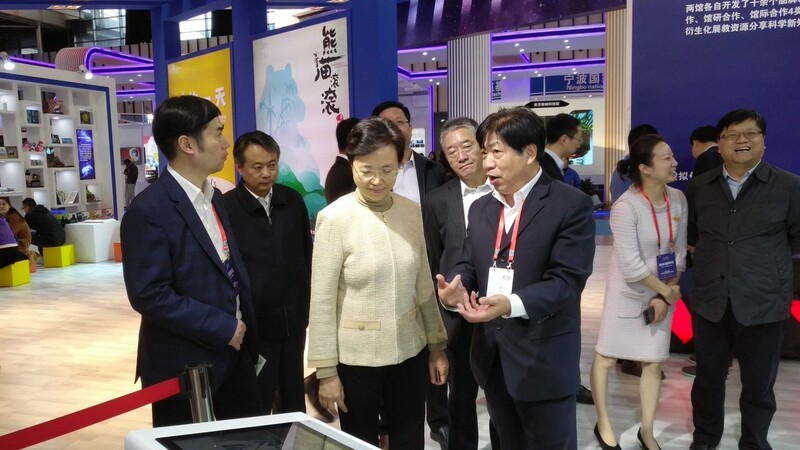 As one of the representatives of the applying units in 2018, Shanghai Science and Technology Museum was invited to participate in the exhibition. SSTM brought to the site exhibitions, educational activities, movies on popular science and creative cultural products. Through demonstration with AR and VR technologies, science shows and interactions and exchanges, it attracted a large number of visitors and much media coverage, becoming a great hit of the exhibition.